The Redbury hotel property features hotel bedding made by DOWNLITE. 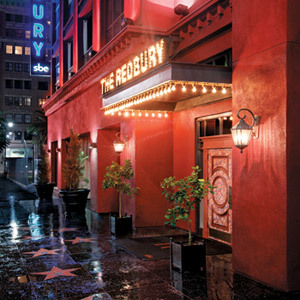 The Redbury hotel uses a 20/80 down and feather blend pillow. These exact products are not available for sale to home customers - but we do have it's sister item - the 25/75 pillows. Although this property uses similar hotel-pillows listed below, it is not always possible to guarantee they are the same as the ones you enjoyed while staying at this cruise ship (but we are sure you will love them).